Latest frame with the reinforced carbon fiber arms. 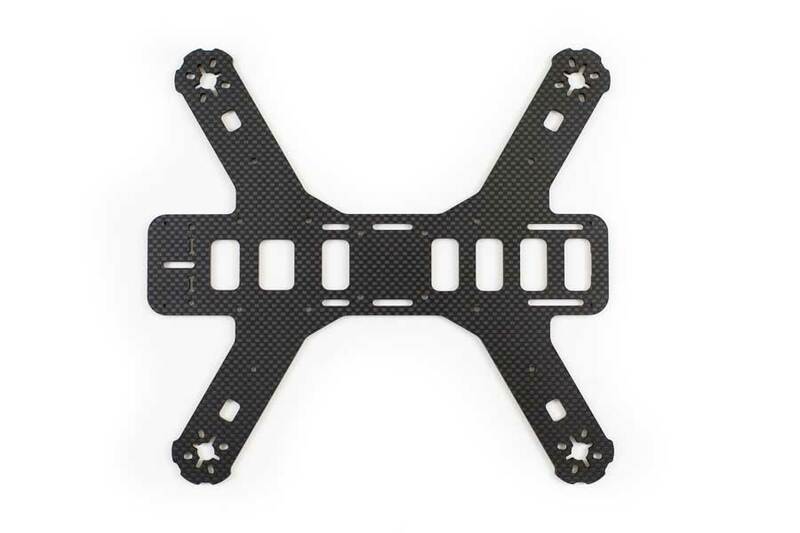 The Lumenier QAV250 Mini FPV Quadcopter Carbon Fiber Edition airframe has all the features of the standard QAV250 plus the added benefits of carbon fiber. The pure 3K carbon fiber material gives the airframe incredible strength while at the same time reducing the overall weight. The entire assembled kit weighs in at only 122g. The QAV250 is a symmetric 250mm size airframe that accommodates 5″ props. The 250mm is measured motor shaft to motor shaft diagonally. The airframe is designed to support a 3s lipo setup and powerful Lumenier FX2206-13 2000kv, FXC1806-14 2300kv or FXC2206-11 2350kv motors. This is the latest frame without the 2nd cutout in the arms near the frame and extra carbon fiber enforced arms. Multiple motor mounting holes to fit a variety of motors. 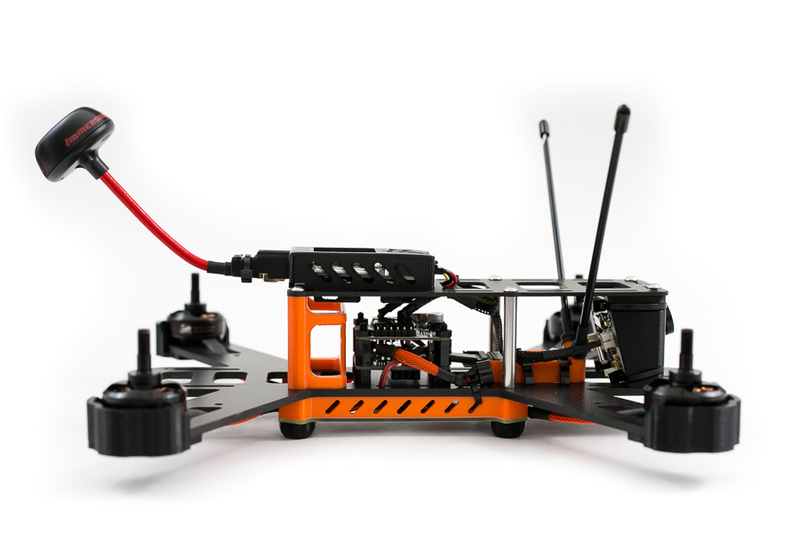 AUW: The QAV250 carbon fiber edition is flown with an AUW of around 500g (includes all flight electronics, FPV gear and Mobius HD camera). 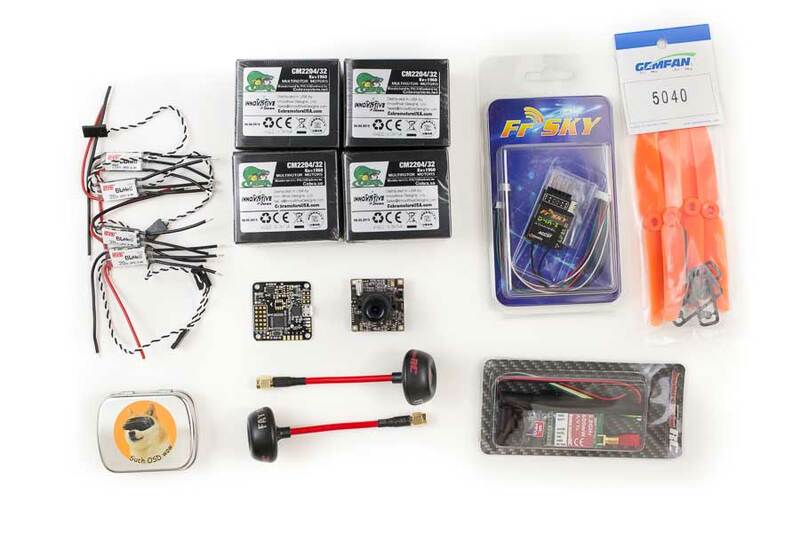 Check out this post for suggested parts and how to build a QAV250.